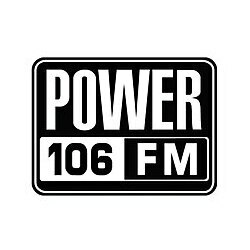 KPWR or Power 106 is a Top 40 radio station based in Los Angeles, California. KPWR broadcasts the best hip-hop and R&B hits to the greater Los Angeles area. Tune in into Power 106 to know all the breaking hip-hop news, as also to have access to exclusive concert presale info. #TheCruzShow is one of the most popular among its listeners, and airs from Monday to Saturday from 5 am to 10 am..